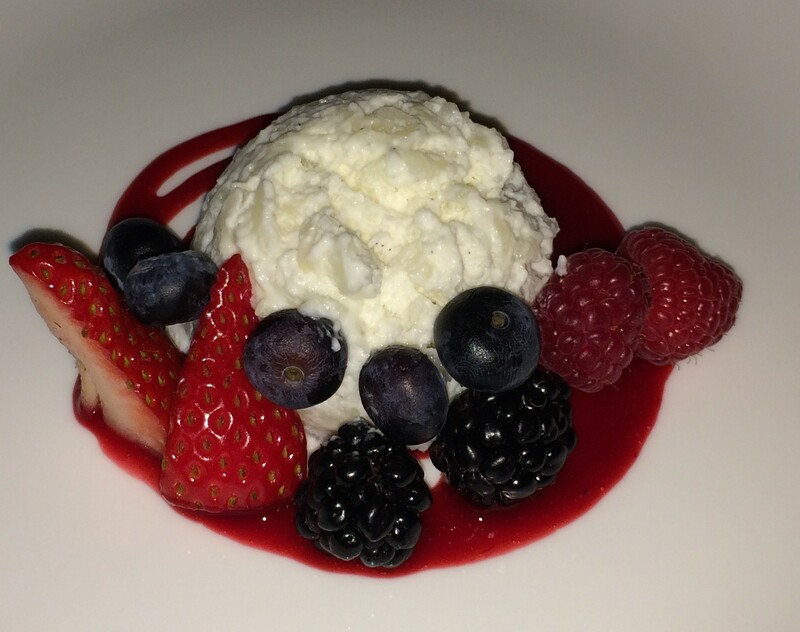 Delicious and comfortable – that is how I would describe the food and the experience at the Culina Restaurant at Four Seasons Hotel in Los Angeles. My friend bought a “Travelzoo” voucher a couple months ago for a Five Course Dinner for this restaurant. We decided to give it a try this past Sunday. We were fortunate enough to find street parking nearby and avoided the $8 valet parking fees. 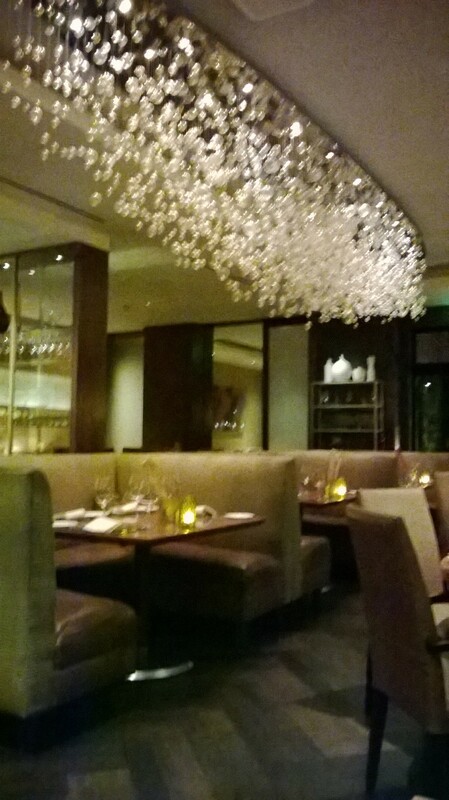 Culina is located right on the ground level next to the hotel entrance, so it was very convenient and easy to find. I was pleasantly surprised by how elegant, yet modern, and nicely decorated the interior was, even though this is the Four Seasons Hotel. The ambience was warm, inviting and extremely comfortable. 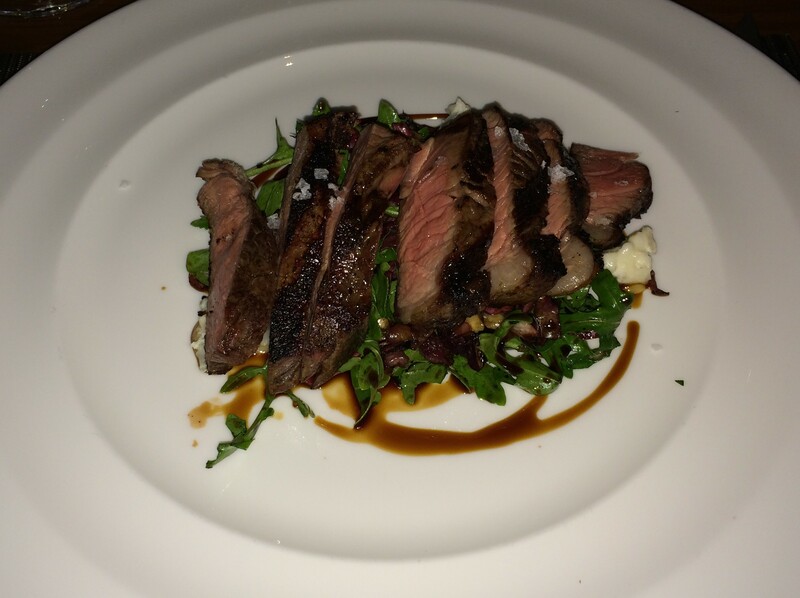 The service was excellent and attentive, the waitress was sincerely genuine, friendly and helpful, traits that I find to be rare sometimes in this type of upscale restaurant. 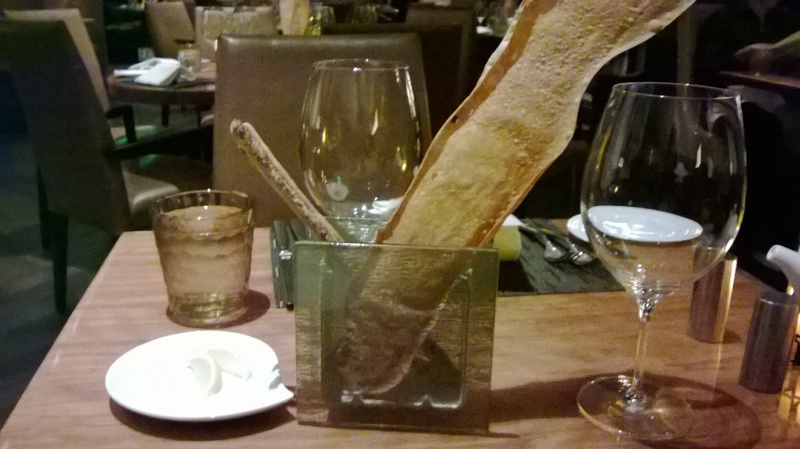 The meal came with a glass of Prosecco, an Italian sparkling wine that I was trying for the first time. The bubbly had just the right amount of sweetness that I liked. 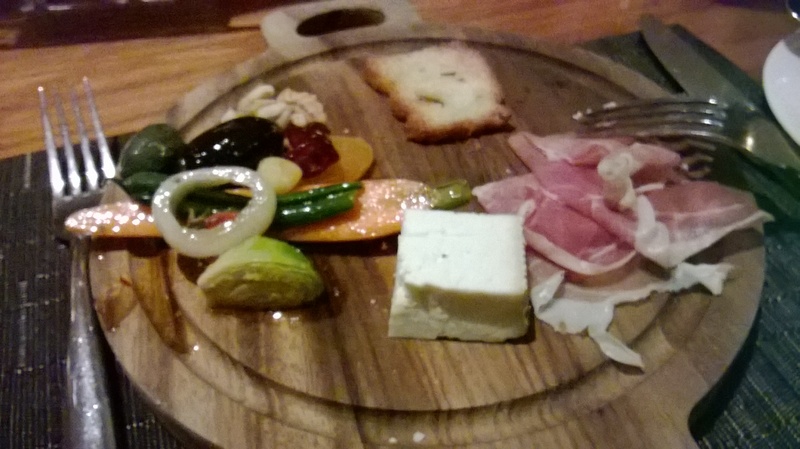 My first course started with Prosciutto and an Italian semi-soft cheese, along with some not-overly-salty olives and walnuts, all presented on a small wooden charcuterie board. The prosciutto was paper thin, tasty and went well with the cheese and wine. 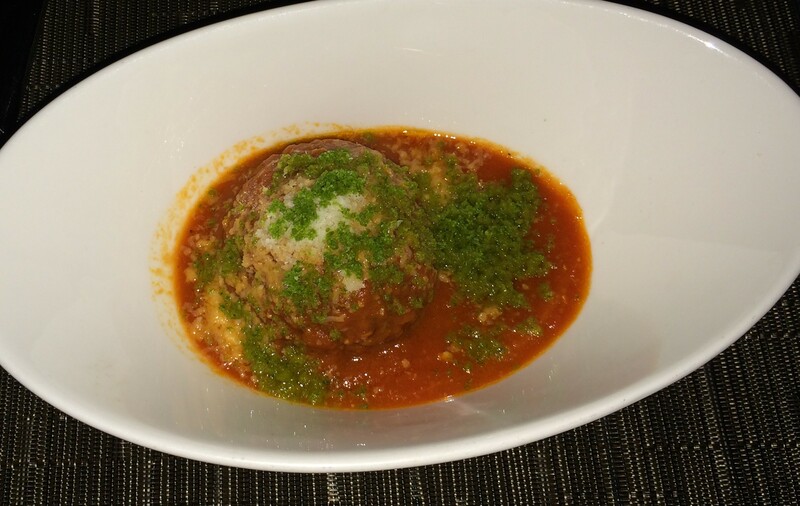 The second course was Polpette, an American Wagyu Meatball that was slightly larger than the size of a ping pong ball, and sat in a tangy tomato sauce. it was so good that I finished every bit of the meatball and sauce. 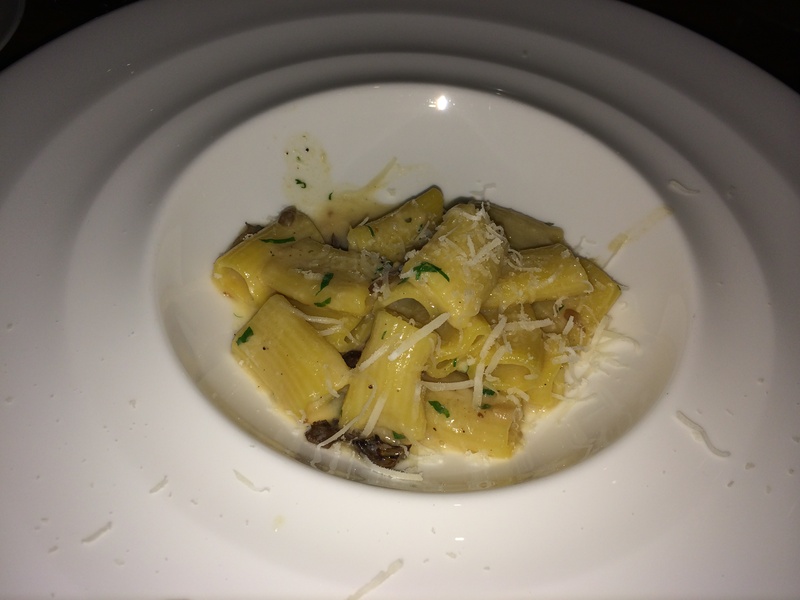 The Rigantoni with wild mushroom was extremely rich and creamy with the white wine, garlic and Parmigiano-Reggiano. 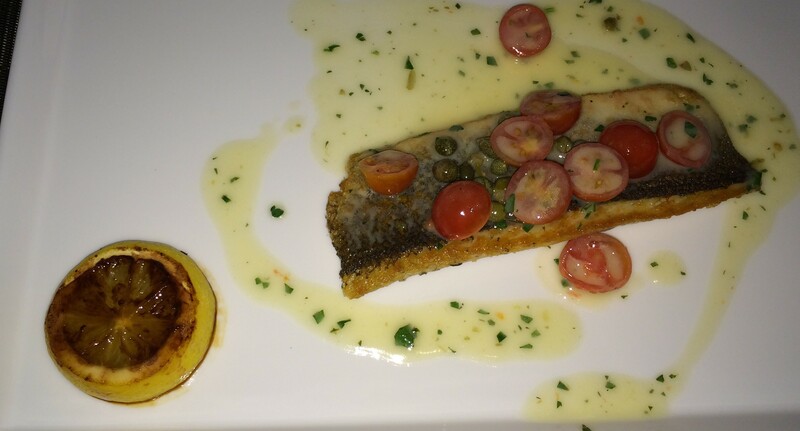 The main course of Branzino, a Mediterranean Sea Bass, with tomatoes, capers, and lemon was perfectly cooked – tender, flaky, moist with a slightly crispy thin layer of skin. My friend’s Tagliata, New York Strip, was very flavorful and tender as well. 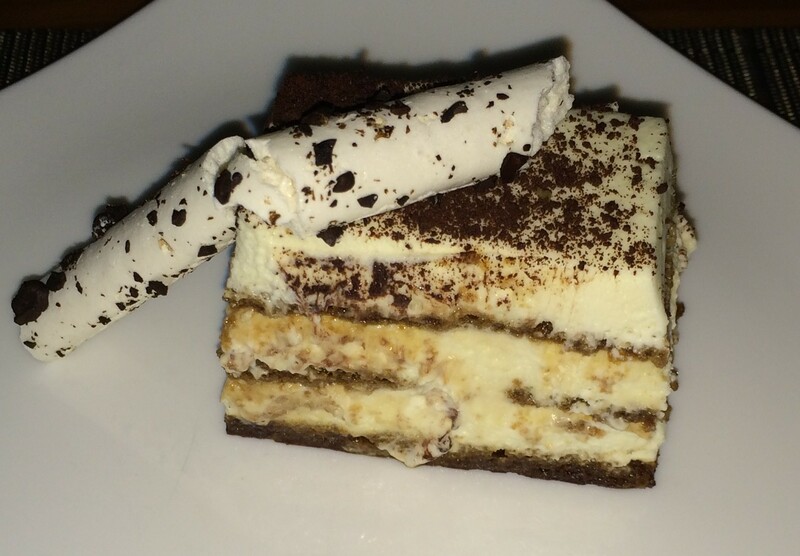 The Tiramisu was probably one of the best that I have tried, light, not too sweet, with a strong coffee flavor. The Nuvola di Riso, a rice pudding mousse was smooth and mild, though my friend said the flavor was not quite strong. The server was telling us that there is a Sunday Brunch at the restaurant that is spectacular for $68, hope to be able to try it one day.